Think of the executive summary as an advance organizer for the reader. Above all else, it must be clear and concise. But it also has to entice the reader to read the rest of the business plan. Because it is an overview of the entire plan, it is common to write the executive summary last (and writing it last can make it much easier). What Information Goes in an Executive Summary? The information you need to include varies somewhat depending on whether your business is a startup or an established business. The business opportunity - describe the need or the opportunity. Taking advantage of the opportunity - explain how will your business will serve the market. The target market - describe the customer base you will be targeting. Business model - describe your products or services and and what will make them appealing to the target market. Marketing and sales strategy - briefly outline your plans for marketing your products/services. The competition - describe your competition and your strategy for getting market share. What is your competitive advantage, e.g. what will you offer to customers that your competitors cannot? Financial analysis - summarize the financial plan including projections for at least the next three years. Owners/Staff - describe the owners and the key staff members and the expertise they bring to the venture. Implementation plan - outline the schedule for taking your business from the planning stage to opening your doors. Mission Statement – Articulates the purpose of your business. In a few sentences describe what your company does and your core values and business philosophy. Company Information – Give a brief history of your company - describe your products and/or services, when and where it was formed, who the owners and key employees are, statistics such as the number of employees, business locations, etc. Business Highlights – describe the evolution of the business - how it has grown, including year-over-year revenue increases, profitability, increases in market share, number of customers, etc. Financial Summary – if the purpose of updating the business plan is to seek additional financing for expansion, then give a brief financial summary. Future goals – describe your goals for the business. If you are seeking financing explain how additional funding will be used to expand the business or otherwise increase profits. 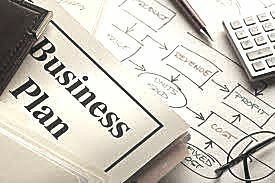 How Do I Write an Executive Summary of a Business Plan? Start by following the list above and writing one to two sentences about each topic (depending on whether your business is a startup or an established business). No more! Having trouble getting started? The easiest way of writing the executive summary is to review your business plan and take a summary sentence or two from each of the business plan sections you’ve already written. If you compare the list above to the sections outlined in the Business Plan Outline, you’ll see that this could work very well. Focus on providing a summary. The business plan itself will provide the details and whether bank managers or investors, the readers of your plan don’t want to have their time wasted. Keep it short - no more than two pages long. Resist the temptation to pad your business plan’s executive summary with details (or pleas). The job of the executive summary is to present the facts and entice your reader to read the rest of the business plan, not tell him everything. Polish your executive summary. Read it aloud. Does it flow or does it sound choppy? Is it clear and succinct? Once it sounds good to you, have someone else who knows nothing about your business read it and make suggestions for improvement. Tailor it to your audience. If the purpose of your business plan is to entice investors, for instance, your executive summary should focus on the opportunity your business provides investors and why the opportunity is special. If the purpose of your business plan is to get a small business loan, focus on highlighting what traditional lenders want to see, such as management's experience in the industry and the fact that you have both collateral and strategies in place to minimize the lender's risk. Put yourself in your readers’ place... and read your executive summary again. Does it generate interest or excitement in the reader? If not, why? Remember, the executive summary will be the first thing your readers read. If it's poorly written, it will also be the last thing they read, as they set the rest of your business plan aside unread!